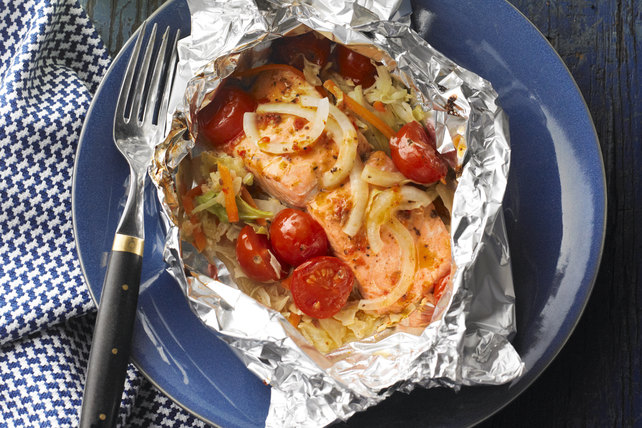 Spoon coleslaw blend onto centres of 4 large sheets heavy-duty foil; top with remaining ingredients. Fold to make 4 packets. Grill 10 min. or until fish flakes easily with fork. Foil packets can be assembled in the morning. Refrigerate until ready to grill as directed. Looking to add more fish to your diet? This flavourful grilled dish is sure to win over you and your family. And as a bonus, the recipe provides an excellent source of vitamin C.